We are Excellent Poly, a leading manufacturer of custom poly bags. We supply businesses with the packaging materials they need to keep necessary items in top condition and share their marketing message with every customer their products reach. Our designers work with the highest quality materials and create innovative storage solutions in a wide variety of available templates. Clients can order secure tamper proof bags, convenient drawstring bags, and many more styles to meet the needs of their specific industries. We also offer our bags printed with company logos, branding messages, or helpful information for the customer. This option enables our clients to enjoy additional benefits from every successful business transaction. Our experts work quickly: Excellent Poly can fulfill orders in as little as three weeks. We keep our prices affordable and exclusively produce poly bags to order, to ensure every client receives a product tailored to their exact specifications. We offer free quotes through our online forms, enabling visitors to our site to get a sense of their options and make the most informed decisions about packing solutions. With over 50 years of experience in the business and close relationships connecting us with some of the largest companies in the nation, Excellent Poly is in a great position to share success with any client. Fill out a free quote form, sign up for our email newsletter, or contact us today to find out more about our available products. We look forward to working together. 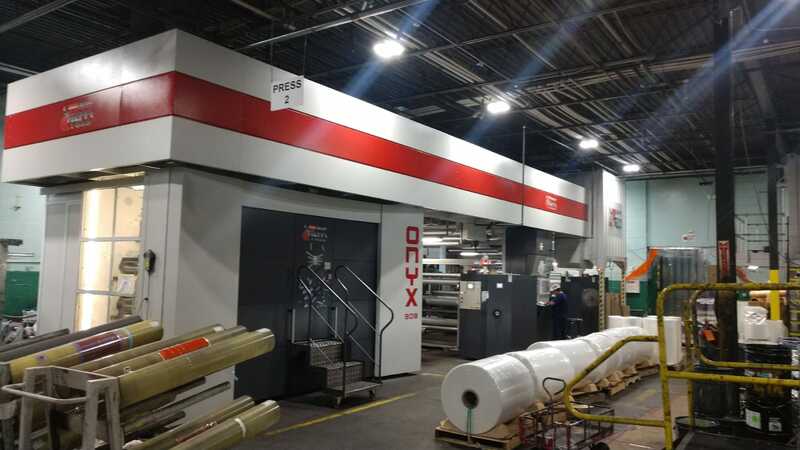 Our state-of-the-art UTeco Onyx flexographic press provides our clients with the highest quality custom printed flexible packaging. Learn more about our Printing Capabilities.